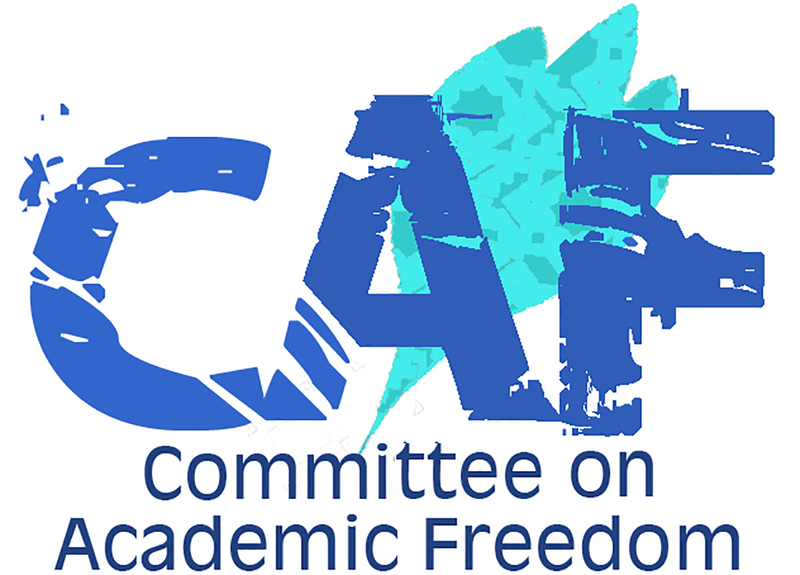 We write on behalf of the Middle East Studies Association (MESA) of North America and its Committee on Academic Freedom to express our deep concern over the criminalization of non-Turkish (especially Syrian) students, faculty and staff members who were employed by or enrolled in universities allegedly affiliated with followers of cleric Fethullah Gülen. Numerous reports, as well as additional information we have collected, indicate that dozens of these individuals have been detained, threatened with deportation, or even actually deported. Most worrisome is that many of those who have been deported are refugees who escaped war. In an earlier letter (dated 14 December 2016), we raised our concerns about the adverse impact on the higher education sector—including faculty, staff and students—of the security measures taken by your government under the state of emergency that you declared following the failed coup attempt of 15 July 2016. The first emergency decree enacted under the state of emergency was issued on 23 July 2016 [Kanun Hükmünde Kararname KHK 667) and involved the closure of 15 of the country’s 193 private universities: Altın Koza (İpek) Üniversitesi (Ankara), Bursa Orhangazi Üniversitesi (Bursa), Canik Başarı Üniversitesi (Samsun), Selahaddin Eyyubi Üniversitesi (Diyarbakır), Fatih Üniversitesi (İstanbul), Melikşah Üniversitesi (Kayseri), Mevlana Üniversitesi (Konya), Şifa Üniversitesi (İzmir), Turgut Özal Üniversitesi (Ankara), Zirve Üniversitesi (Gaziantep), Kanuni Üniversitesi (Adana), İzmir Üniversitesi (İzmir), Murat Hüdavendigar Üniversitesi (İstanbul), Gediz Üniversitesi (İzmir), and Süleyman Şah Üniversitesi (İstanbul). These universities were alleged to have received endowments from private sector individuals and entities with ties to the religious community (the Gülen community, or followers of the exiled religious leader Fethullah Gülen) that the government holds responsible for the attempted coup. Under the emergency decree, all the property, rights, and documents of these universities were expropriated by the state and transferred to the Treasury. These universities had a cumulative enrolment of 64,533 students and employed 2,808 academic staff members. With the closures, academic and non-academic staff members who had been working in these universities found themselves unemployed overnight and were unable to claim their last salary check or any other form of compensation. Their dismissal letters state that they were fired under emergency measures (OHAL-KHK). Many dismissed academics have reported that in applying for jobs at other universities, their applications have been rejected on these grounds. Many also claim that even though they had no connection to the Gülen movement, they have been stigmatized by state action that imputes such an association to them on the basis of their employment at these universities. Foreign staff members and students in these universities have faced some of the gravest consequences of these closures under emergency decree. Non-Turkish students expelled from their universities by virtue of the closures have been denied the right to receive their university transcripts or grades despite the significant tuition fees they had paid. In our letter of 2 March 2017 we expressed our concern about the one thousand or more students who have been detained since the failed coup on charges of support for or membership in a terrorist organization. Since then, we have learned through newspaper reports and conversations with affected individuals that Yemeni and Syrian students and staff members, as well as some students from various African countries, such as Nigeria and Cameroon, have been targeted for detention and eventual deportation. Most of these students were self-funded and were attending these particular universities because they were willing to admit foreign students. We find it especially troubling that non-Turkish students and staff members of these universities have been detained without individualized charges or access to a hearing and that they have been held in camps that were originally built with funds from the European Union to host Syrian refugees. Moreover, many of those detained have subsequently been deported either back to their countries or, in the case of Syrians, to a third country (in this case, Malaysia) after being forced to sign papers falsely claiming that their departure was voluntary. Deportations to Malaysia have apparently been common because it is among few countries that accept Syrian nationals without requiring a visa. To give specific examples, we have learned about the cases of Ibrahim Tawfiq Mohammed Anam, a Yemeni student, and Faysal Bsata and Abdel Salam Salem, two Syrian students in different universities affiliated with Fethullah Gülen. Anam was arrested by Turkish police on 14 March 2017 and held at a detention camp in Izmir. Bsata and Salem were arrested by Turkish police on 16 March 2017 and transferred to a detention camp in Gaziantep. Faysal Bsata was subsequently deported. Information about the Yemeni student was confirmed by the Yemeni consulate in Turkey. A Syrian former staff member of Zirve University in Gaziantep reported that his home was raided in March, and he was detained for over 100 days in a camp in Gaziantep originally built for refugees. During his detention, he met other non-Turkish staff members and students from Zirve and Mevlana Universities who were of Arab or African origin. The Syrian staff member reported that the students and staff members he met were not given a reason for their detention and instead were told with contempt by officials that they should know why they were detained. Out of desperation, a group of detained academics and students held a hunger strike for ten days. Eventually, this former staff member was deported to Malaysia despite having a court order stating that he could not be deported. He reported that he was forced to sign a paper stating that he was leaving the country voluntarily, and that he knew of others who had been forced to sign similar statements in advance of deportation. Other non-Syrian detainees he met while under arrest were also deported to their countries. As a member state of the Council of Europe and a signatory of the European Convention for the Protection of Human Rights and Fundamental Freedoms, Turkey is required to protect freedom of thought, expression and assembly. Turkey is also a signatory to the Universal Declaration of Human Rights, the International Covenant on Civil and Political Rights, and the Final Act of the Conference on Security and Cooperation in Europe (OSCE), all of which protect the rights of freedom of expression and association, which are at the heart of academic freedom. The state of emergency cannot be arbitrarily used to restrict academic freedom, or to detain and deport foreign students and staff members without giving any reason. We urge your government to take all necessary steps to stop the detention and deportation of non-Turkish staff members and students. Likewise, we urge you to respect their right to education, as well as their rights of freedom of expression and freedom of association.